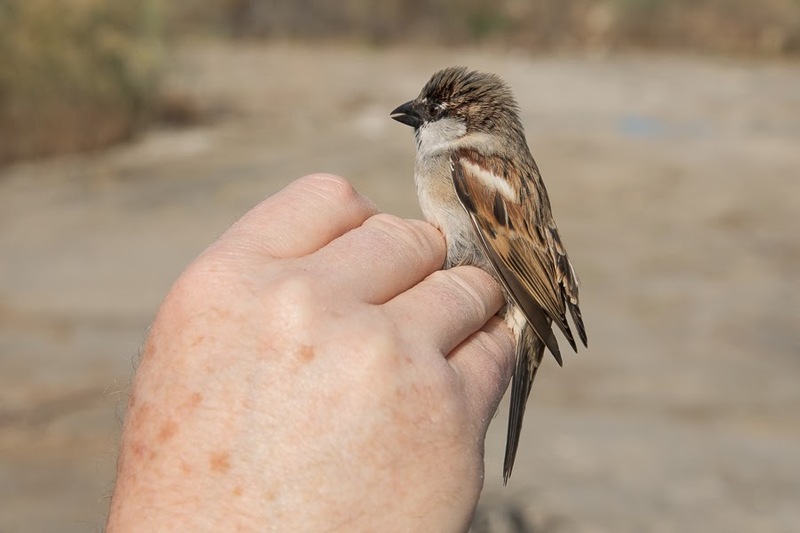 Nicole and I went ringing at Alba Marsh in Bahrain for the first time in almost a year. 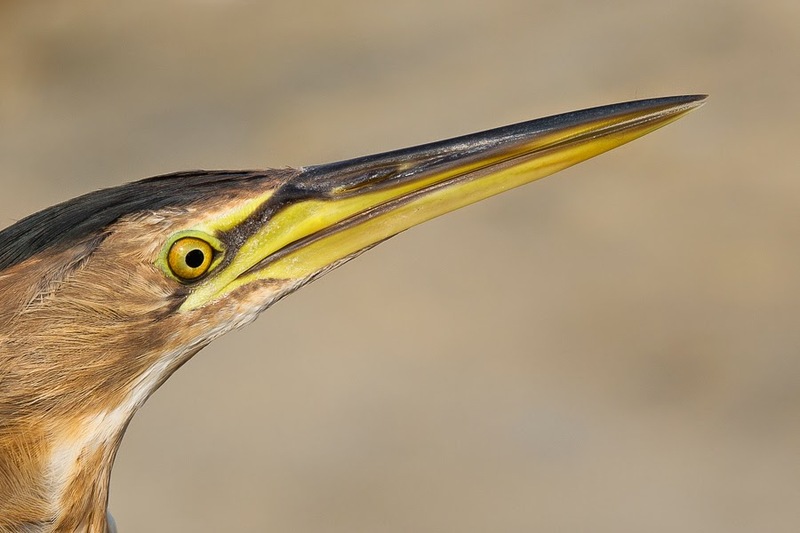 We have stopped ringing there since we now have permission to ring at Sabkhat Al Fasl in Saudi Arabia, where we catch more birds and don’t have the inconvenience of travelling across the Bahrain causeway and passing through passport control and customs. We went to Alba Marsh as our ringing trainer, Brendan Kavanagh was visiting from Ireland and we wanted to meet up and do some ringing together. We arrived well before first light but as we had not been to the site for ten months we had to do some work clearing the net rides. We set six 18 metre nets in the red beds and along the edge of the reeds and all were set up by 07:00 hrs. We caught few good birds including a couple of nice re-traps, both of which had originally been ringed at the same site in previous years. 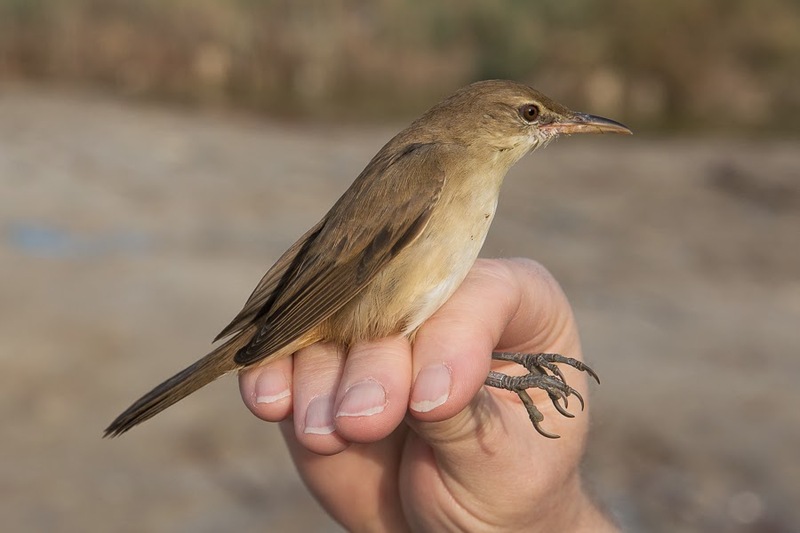 A Water Pipit was re-trapped that was originally ringed 9 March 2012 and an Indian (Clamourous) Reed Warbler re-trapped that was originally ringed 8 February 2011 the first time Nicole had ringed at the site. 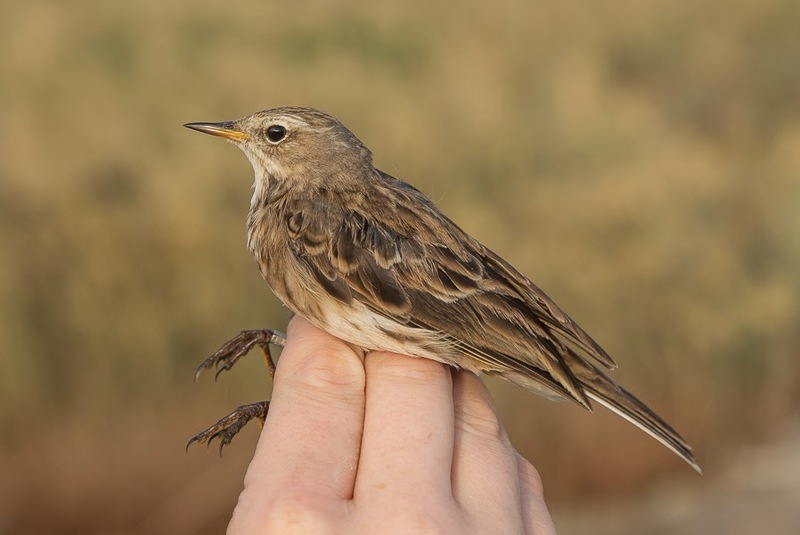 The Indian Reed Warbler is resident but the Water Pipit is a migrant meaning it has returned to its breeding grounds three times since it was originally trapped and is obviously faithful to this small marsh as a wintering area. 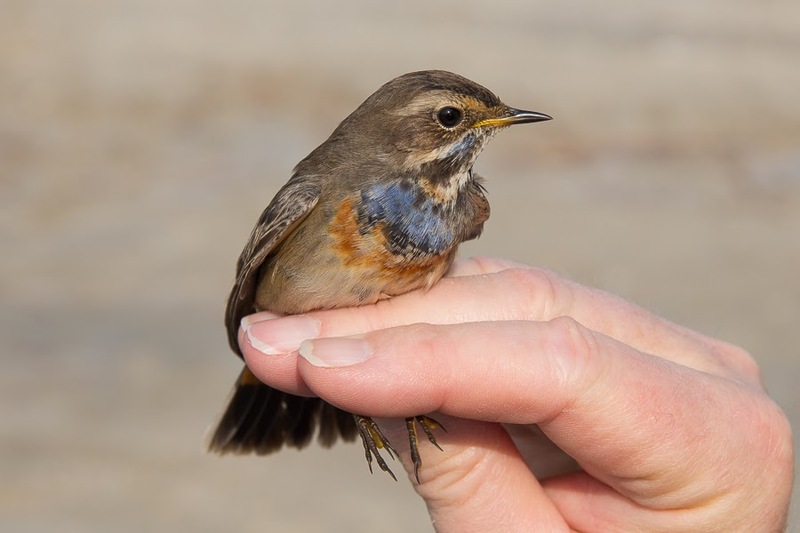 We caught 22 birds in total, which is a good catch for the location, including Water Pipits, Bluethroats, Indian (Clamorous) Reed Warblers, Little Bittern, Eastern Stonechat, Paddyfield Warbler and House Sparrow. By 11:00 it started to rain very heavily and curtailed our ringing but not until we had caught and ringed a few good birds. It was very nice to ring back at Alba and maybe I will come back a couple of times a year in the spring and autumn to see what is happening there.